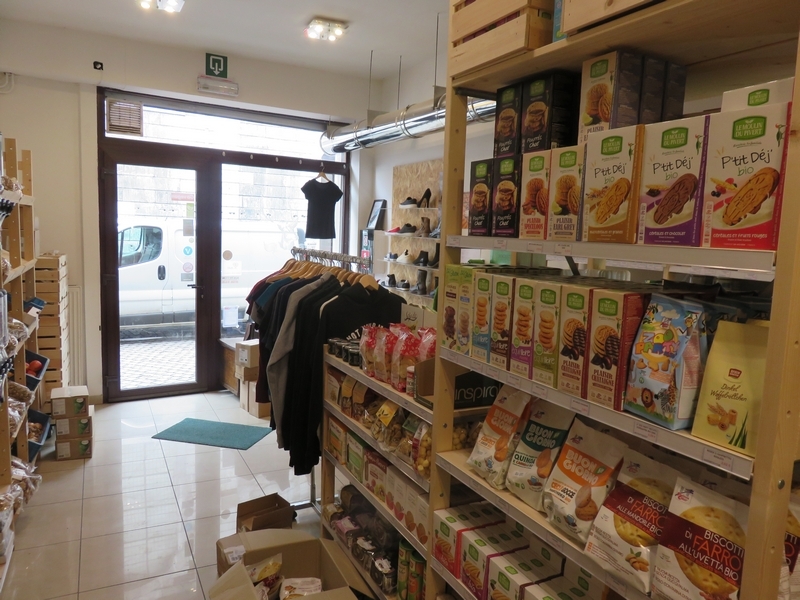 Shop review #32 – Goveg is a vegan shop in city center of Liège (in the south of Belgium, 200 km from Bruges). 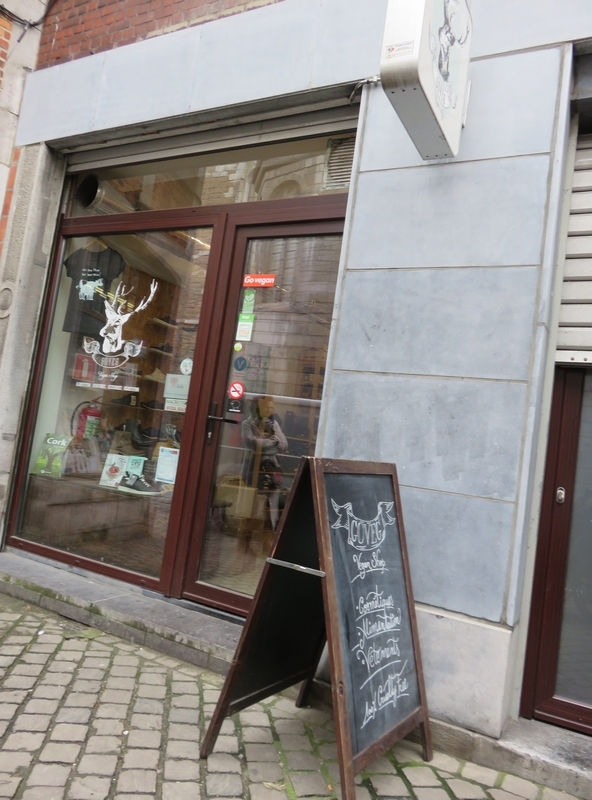 We had already got to know this shop during Vegan Summerfest in Ghent last year (see review here). 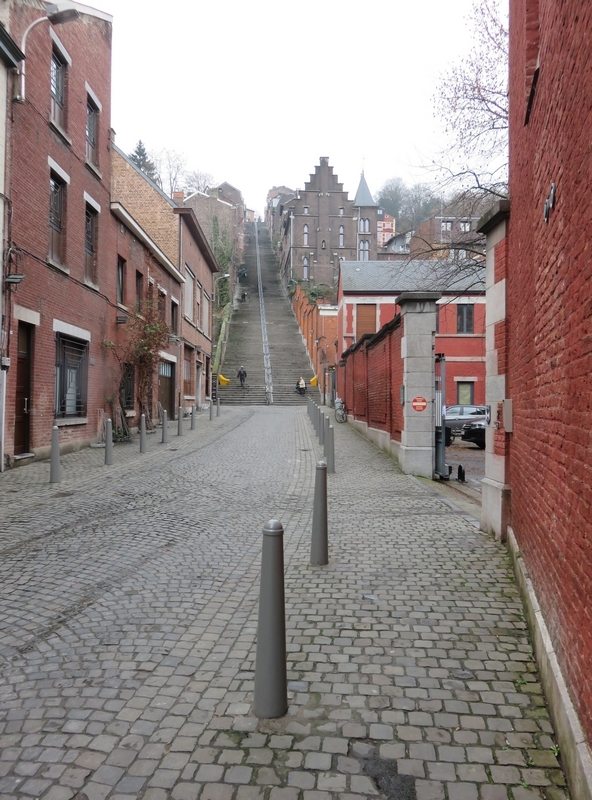 We planned a trip to Liège to visit the Human Zoos exposition in La Cité Miroir (more about this very interesting exhibition in a later blogpost!) 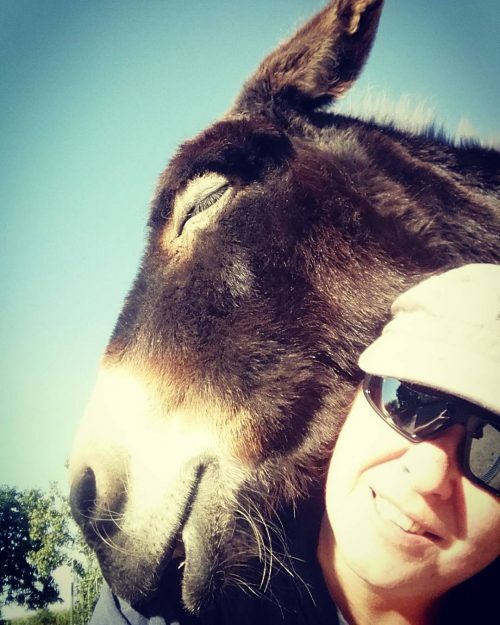 so this was a perfect occasion to do some shopping at GoVeg. 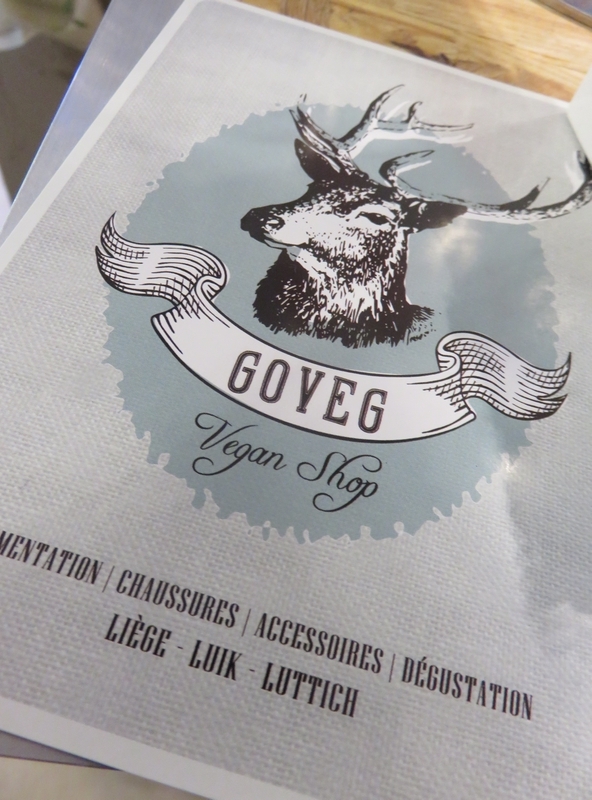 The Goveg vegan shop is nor far from restaurant Como en Casa (actually in the same street), where we had lunch (review will follow). 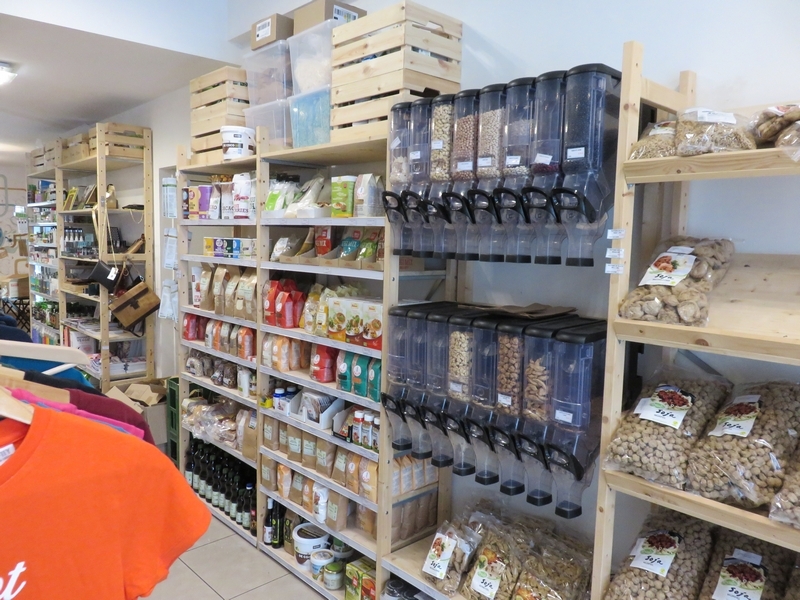 The shop is not really big, but it is packed with the ‘usual suspects’: body and care products, soy chuncks, vegan shoes, grains, nuts, jam, cereals, chocolate, etc. 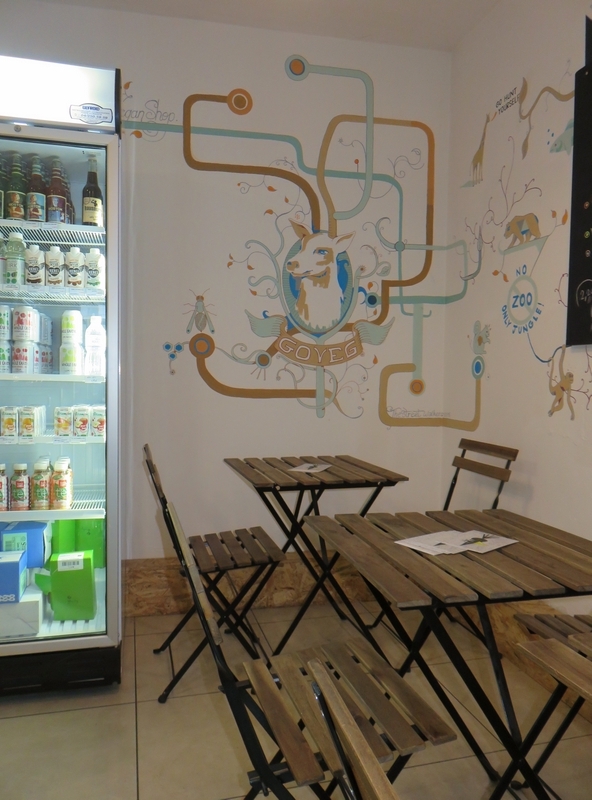 Also several coolers with vegan cheezes, sausages, pizza, burgers, etc. I was happy to find a pack of ‘vegan eggs’ from Follow Your Heart, which I quite like to eat scrambled! 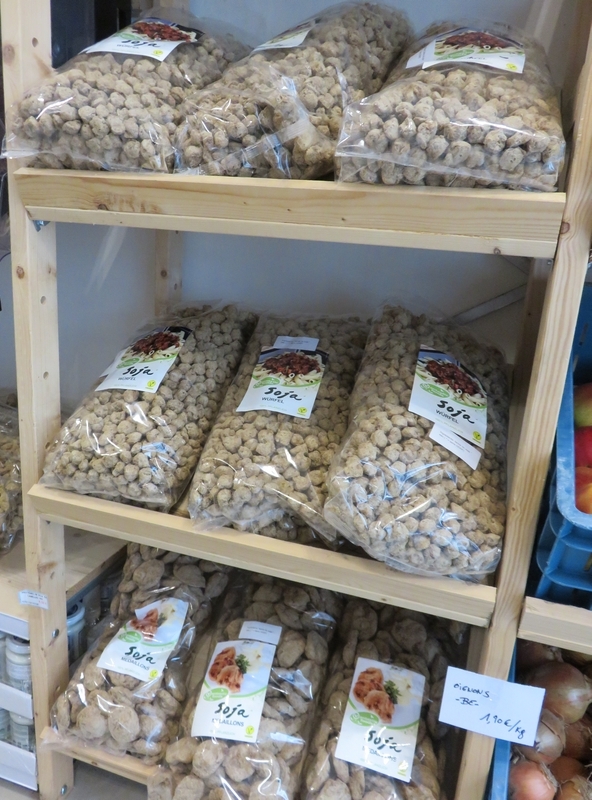 And also the vegan caviar that I had discovered first in Ghent and later also bought at Vegfest London. 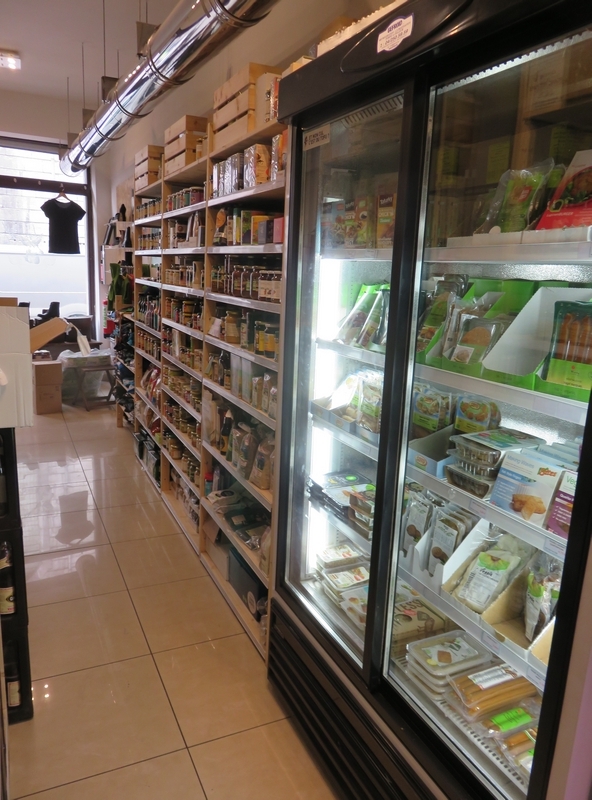 The nice thing about shopping at a vegan store is that one doesn’t have to double check all the labels! 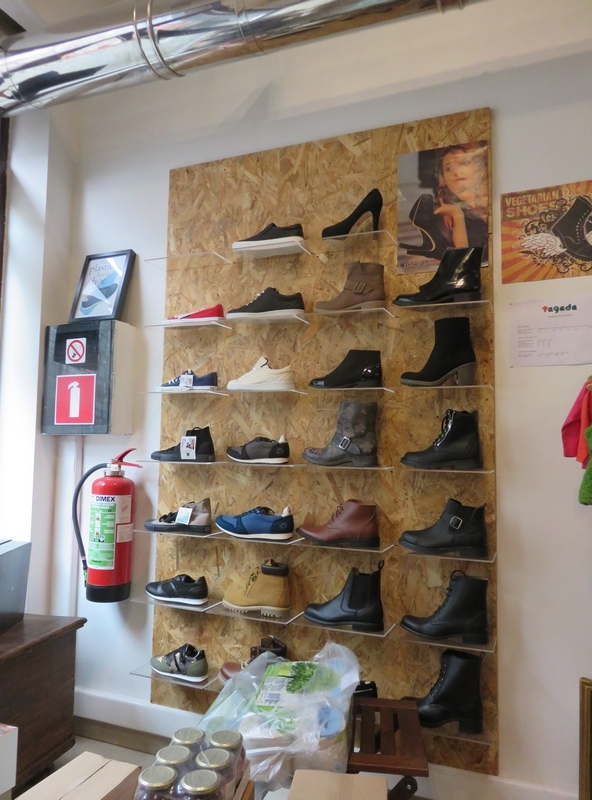 And of course, a lot of favourite brands all in one place and at hand. 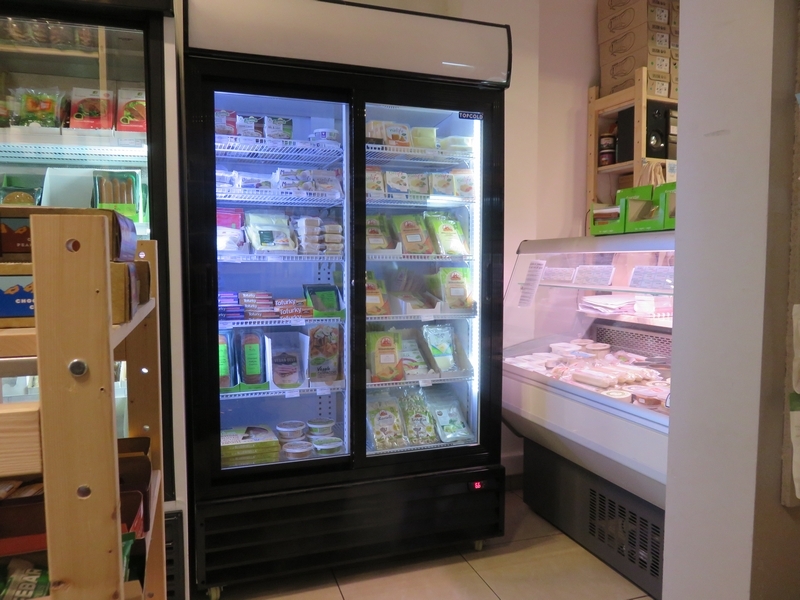 Goveg vegan shop also a nice selection of frozen goodies, but as we still wanted to visit the Zoo Humains exhibition in the afternoon, and had to drive home (it took us 3,5 hours to get home!!) we didn’t buy any froozen goods. 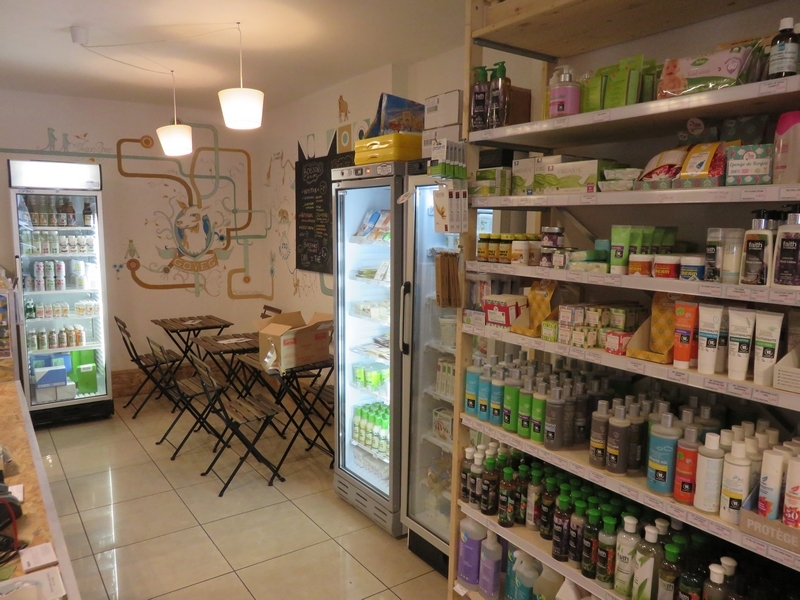 There’s also a small area at the back of the shop where you can have a drink or a snack. These are the goodies we bought, toal of 139€. 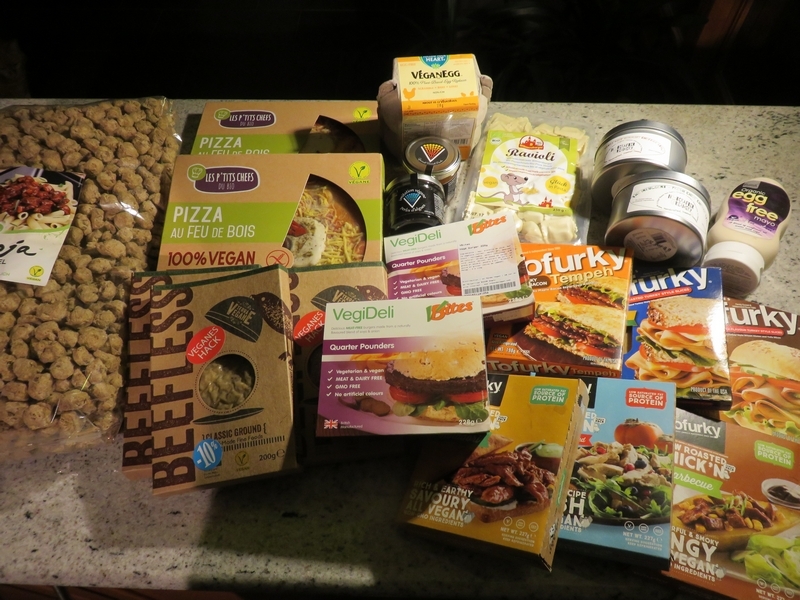 De Go Veg Shop is echt één van de mooiste vegan winkels waar ik al ben binnen geweest… En ze hebben er ook echt veel producten die je ergens anders niet vindt (vooral vegan kazen). Ik ben grote fan!